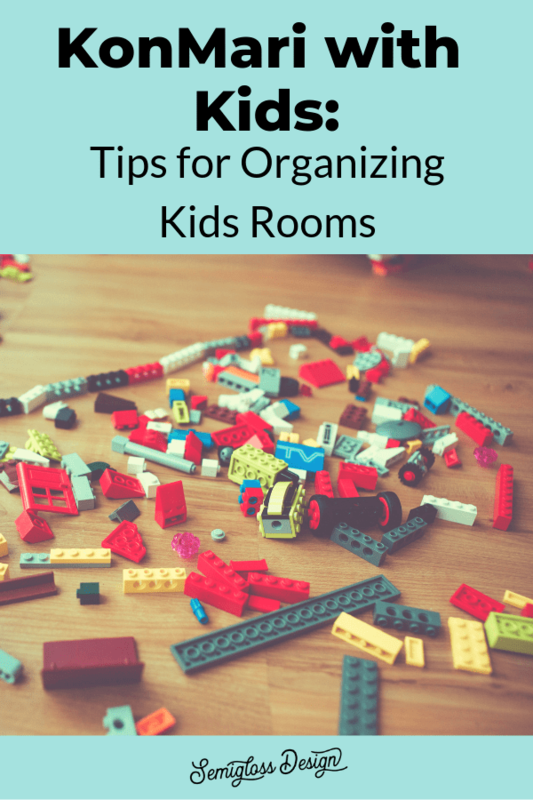 Learn my tips for organizing with kids, even if your kids are the sentimental, hoard every cardboard box type. 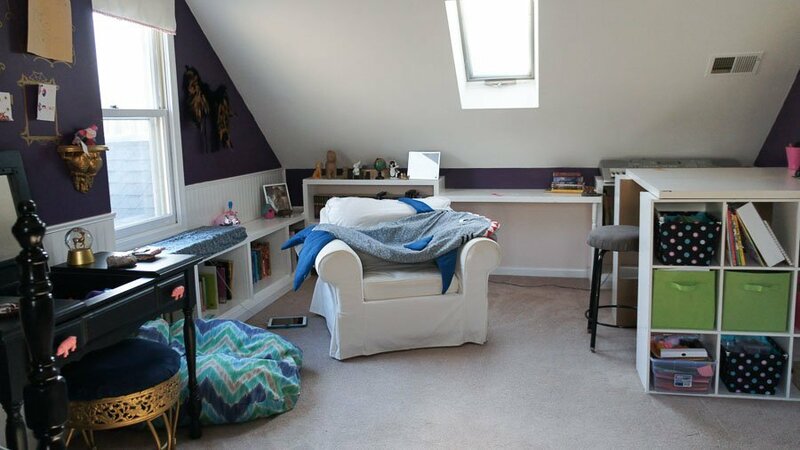 In my quest to declutter my home, there is one room that I feared more than any other room: my daughter’s room. She’s a creative kid who sees potential in every single piece of garbage. I mean it’s great to try to reuse stuff, but the reality was a room full of cardboard boxes and papers. Most days, I just shut the door and tried to pretend that it didn’t exist. 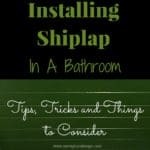 Then we made an appointment with an HVAC company and we realized that they needed access to her room. And it should probably be safe for them to walk through. And it also happened to be a friend of the family, so I didn’t want to be embarrassed by her messy room. 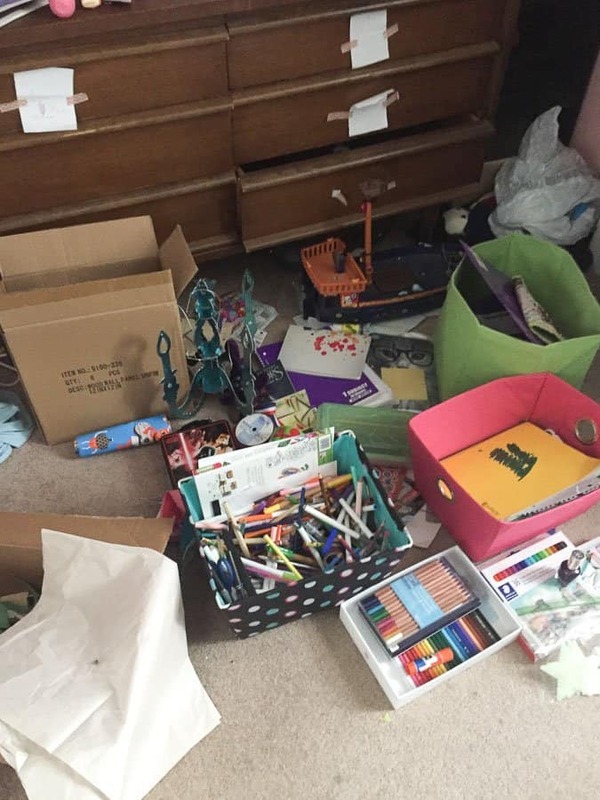 It was time to organize her room using the KonMari method! Shield your eyes. These are real pictures of her mess. She had cleared us a spot to work and I picked up a bit of garbage before we got started, but otherwise, it was pretty much like this. 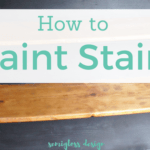 Want a free Printable Checklist? 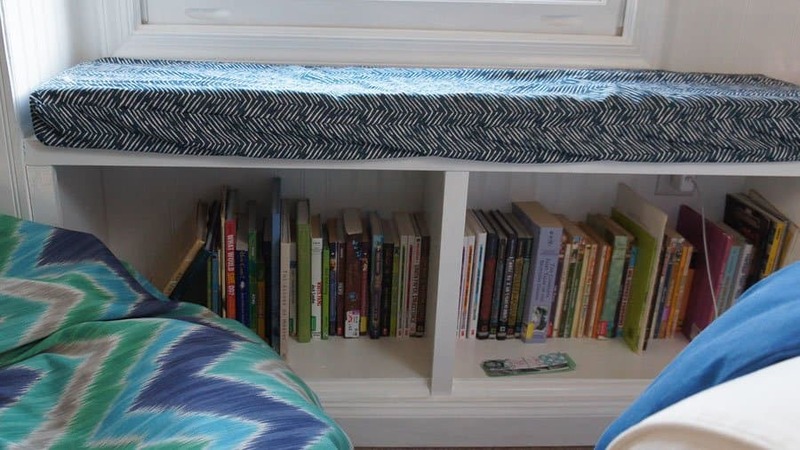 Before getting started, watch a few episodes of Tidying Up with your kid if possible. We watched a few together and it was a good bonding opportunity for us. Set an example. She has watched me go through the kitchen, linen closet and my bedroom in the past few weeks. 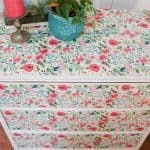 I talk about how good it feels to get rid of stuff and she enjoys how easy stuff is to find. 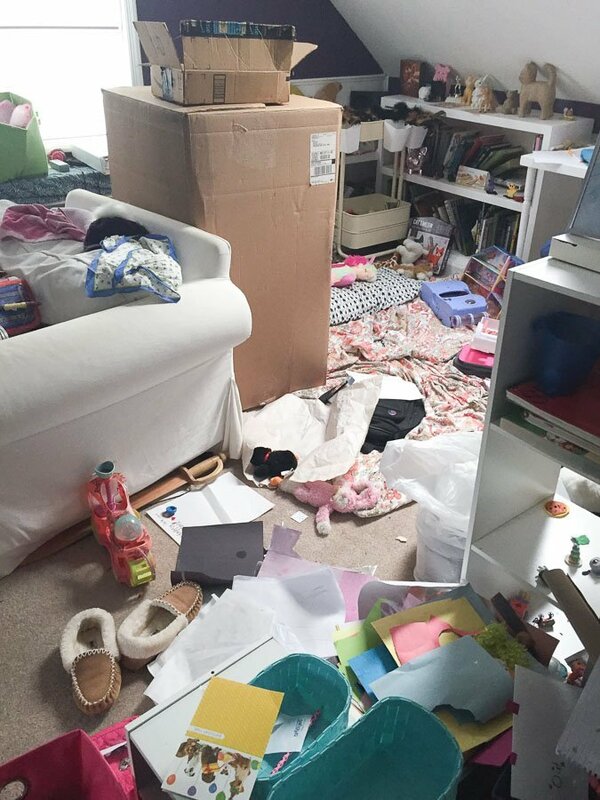 If your kid’s room is this bad, you can’t just tell them to organize it. They’re going to need help. The entire family helped out and although it took all day, we got it done! Team work! Before we started, we talked about how she wants her room to feel. This was harder because she kept describing stuff instead of feelings. So I gave her a few examples to help her out. This also got her excited for a room redo, since she’s totally over Five Nights at Freddy’s and wants more of a magical, colorful, boho look. Be still my heart. Room makeover coming soon! We started by removing all the garbage. She had hidden caches of candy wrappers. We left her artwork and paperwork for later. We made piles of “like” items. So all of her art supplies went into a pile, all of her drawings in another, all of her stuffies, etc. 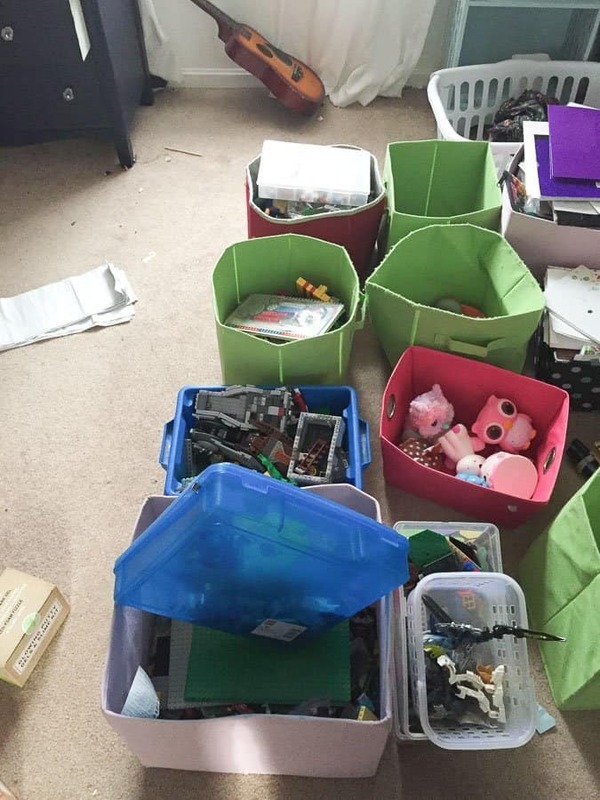 This process was simplified by her being ready to get rid of almost all of her toys. 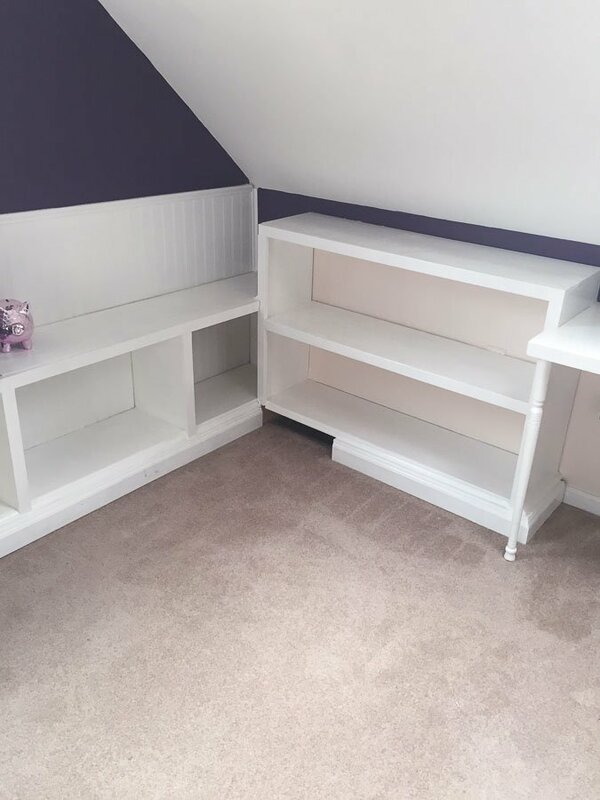 The Legos, Playmobile and wooden blocks went into the attic for when my kids have kids. When we were done, we were left with so many empty baskets and organizing solutions. For years, I just bought more baskets, but I never had enough space for stuff. Now we have more than enough space. If for some reason, you don’t have tons of baskets already, wait until you’re done organizing to shop. Then buy baskets to fit the categories and sizes of stuff that you have. The hardest part was going through her stuffies. She still has a ton left, but we got rid of 3 bags of them. The “spark joy” concept really seemed to help. She decided with almost no hesitation. I on the other hand almost started crying when she decided to donate a certain stuffy that she had loved when she was little. We took the opportunity to clean everything while sorting the remaining items. 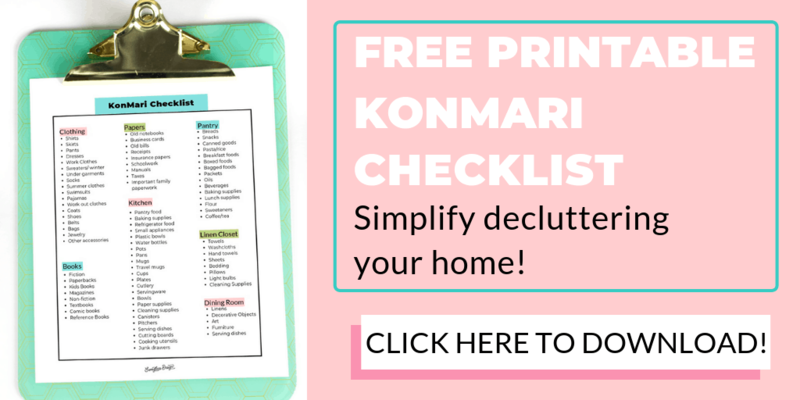 Simplify decluttering your home with a free printable checklist. 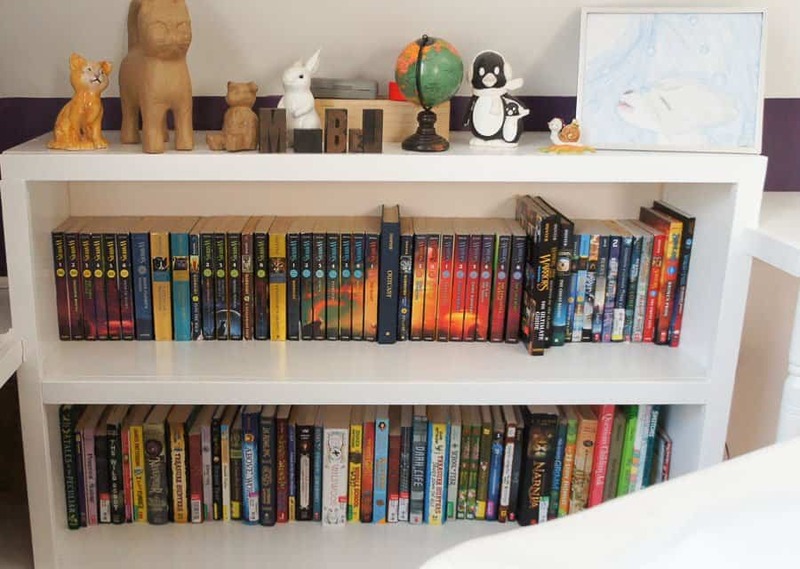 Now her books have a special place to be displayed in chronological order, of course. The other books are categorized by categories. And there’s even room to spare! 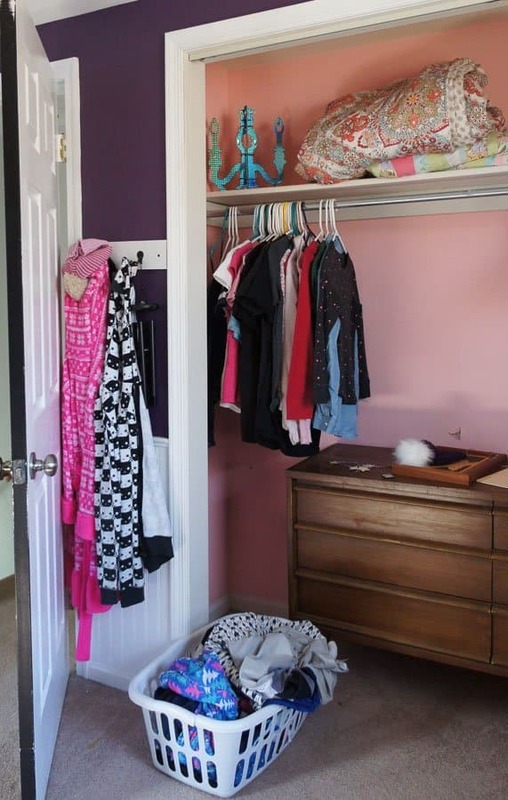 There’s plenty of room to access her closet and plenty of storage space. She worked so hard and I’m so proud of her. She deserves a room makeover! It’s easier to tidy without them. They will never know that you’ve thrown out their toys. 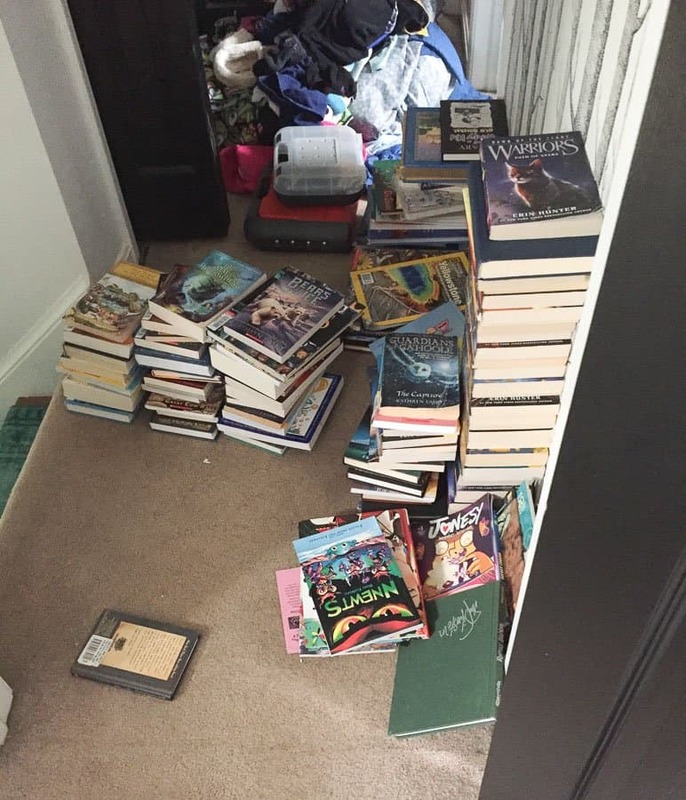 My daughter just made a comment that this is the first time I’ve ever gotten rid of her stuff and I had to break it to her that this is the first time that she has known about it. I’m normally more sneaky. Consider hiding some of their toys and bringing them out on rainy days. We did this a lot with Christmas and birthday presents when they were little. When you bring out the new item, put away something else. When you bring it back out, they will feel like it’s a new toy. Unless it’s a favorite, they will never even notice. Object permanence isn’t a strong concept for them yet. In other words: out of sight, out of mind. Don’t try to categorize stuff. It will only make you crazy. Go with one big basket. 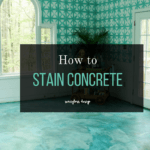 Then they can easily help clean up. The bins will only make you want to cry. Younger kids might not get that. I used to just explain that we only had so much room, so we could only keep a certain amount of items. If it’s a special piece, you can always use a program like Artkive or even just take a photo of it. 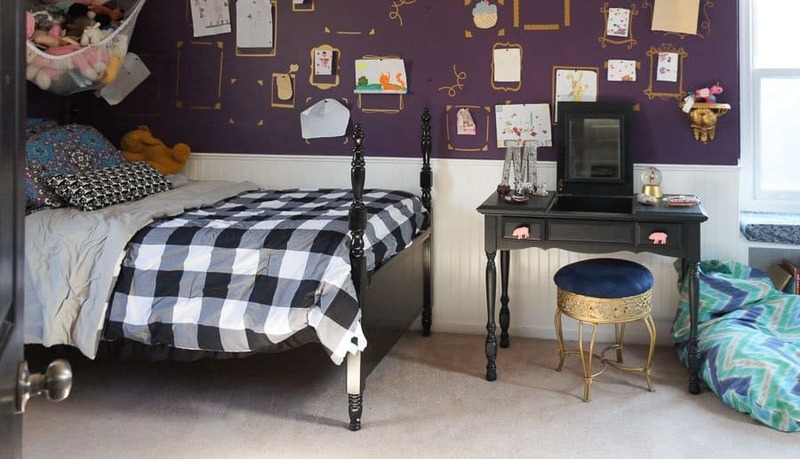 What’s your favorite tip for organizing a kids room? 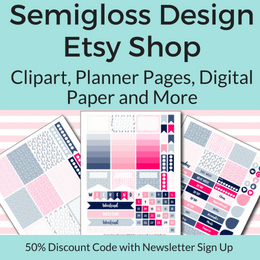 Get a free printable checklist for organizing! first of all, this post makes me feel so much better. 😉 and second of all, great tips!!!! the joy is definitely in the making, and emmy has had to learn that as well… and to be honest, so have i.